Given the code with which Pat Tillman lived and the way that he died, the new Tillman-themed shirts and sneakers by Adidas are very troubling. When former NFL-player-turned-Army-Ranger Pat Tillman was killed in Afghanistan by US troops, the Department of Defense deceived his family about how he died. It has still not offered full disclosure about what took place on that tragic day when Tillman was felled by “friendly fire.” Now Adidas, in conjunction with the Pat Tillman Foundation and Pat’s alma mater, Arizona State University, is producing camouflage shirts and sneakers in honor of the late Mr. Tillman. They are all part of Arizona State’s “Salute to Service” unis to be worn this Thursday night, yet their appearance and design raise serious concerns for those still inspired by the person Pat Tillman was, and troubled by the manner of his death. Again, this was the head of Dark Ops, and this is what they decided to name this sneaker. 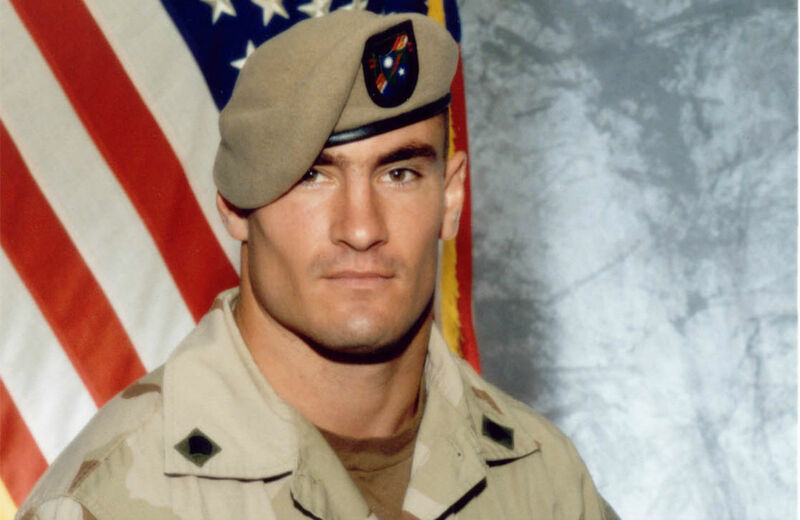 But the main thing that’s upsetting is—as I can say with confidence having talked to numerous friends and family of Pat Tillman over the years—that he never wanted to be used to promote the military. Yes, I am aware that the press releases say that “the Tillman family” was involved in the design of the shirts and shoes, and I hope the Tillman foundation, run by Pat’s widow Marie, is able to get the funds to continue its remarkable scholarship work. I reached out to the foundation for comment and while we communicated, they did not want to add anything to this story, they wanted it known that the Tillman foundation’s mission “under Marie’s leadership has been to invest in military veterans and spouses through academic scholarships. To date, PTF has invested over $12 million in academic support and named over 400 Tillman Scholars at 108 universities nationwide.” It is incredibly important work. It is also clear that raising that kind of financial aid comes with a price.